HEWLET - Pavilion DV5 HP Compaq Pavilion DV5 Series AMD Socket AM2 Laptop Motherboard 482325-001. Gateway - DX4840 Gateway DX4840 Intel Socket LGA1156 DDR3 Desktop Motherboard MB.GAU07.001. PCCHIPS - A33G V.1.0 PCChips A33G AMD Socket AM2 PCI-E SATA DDR2 Motherboard. MSI - MS-7312 Ver:1.0 MSI MS-7312 Ver:1.0 VIA Chipset K8M800 Socket AM2 DDR2 Micro ATX Motherboard K9MM-V.
Gigabyte - GA-M61PME-S2P rev.1.0 Gigabyte GA-M61PME-S2P rev.1.0 NVIDIA GeForce 6100 / nForce 430 chipset AMD Socket AM2+ DDR2 Micro ATX Motherboard. 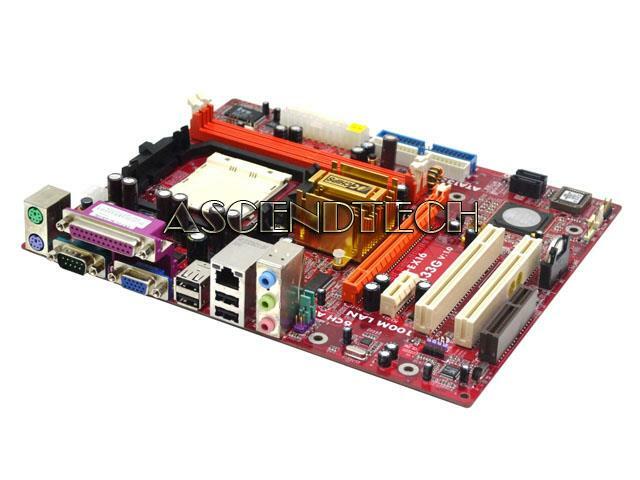 Hewlett Packard - Pavilion Slimline S3000 HP Pavilion Slimline S3000 Series AMD Socket AM2 Desktop Motherboard 5189-0683. 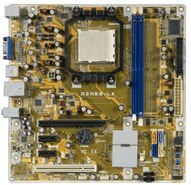 Gigabyte - GA-MA78GPM-DS2H rev.1.0 Gigabyte GA-MA78GPM-DS2H rev.1.0 AMD Chipset 780G Socket AM3/AM2+/AM2 DDR2 Micro ATX Motherboard. Hewlett Packard - 5188-8909 HP/COMPAQ - IRIS GL6 SYSTEM BOARD SOCKET AM2 4GB (MAX) DDR2 SDRAM SUPPORT FOR DESKTOP PC (5188-8909) NEW BULK. IN STOCK. SHIP SAME DAY. Asus - M2NBP-VM CSM Asus M2NBP-VM CSM AMD Socket AM2 DDR2 uATX Desktop Motherboard. 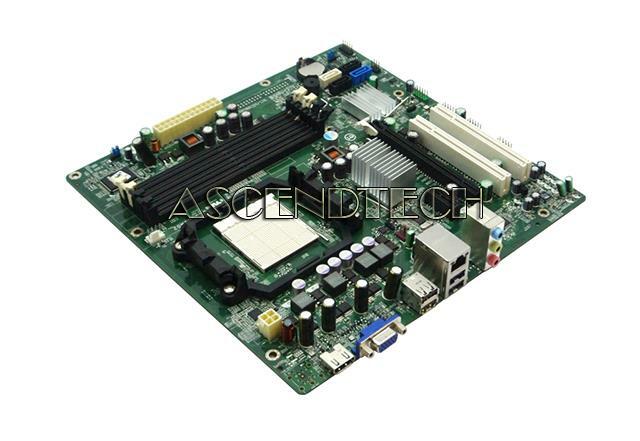 Hewlett Packard - DX200 MicroTower Series HP Compaq DX200 MicroTower Series AMD Socket AM2 Desktop Motherboard 462798-001. Hewlett Packard - Pavilion P6000 HP Pavilion P6000 Series AMD Socket AM2+ DDR2 Micro-ATX Desktop Motherboard 513426-001. Asus - M3N78-EMH Asus M3N78-EMH AM2 HDMI DDR2 Motherboard. 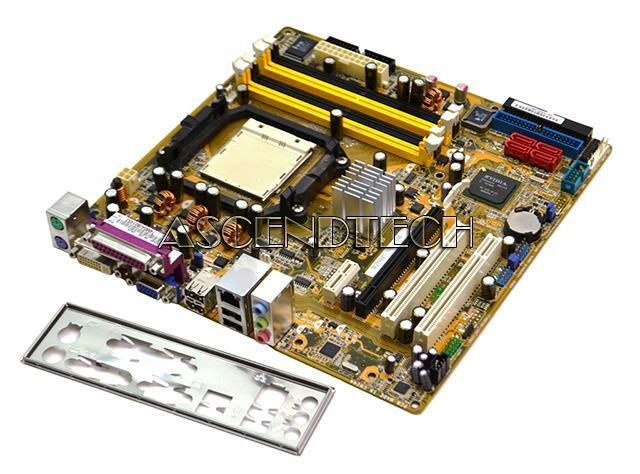 Hewlett Packard - 409305-001 HP/COMPAQ - MBTX MOTHERBOARD SOCKET AM2 FOR DC5750 BUSINESS DESKTOP(409305-001). REFURBISHED. IN STOCK. SHIP SAME DAY. Hewlett Packard - 513426-001 HP/COMPAQ - NARRA5-GL6 MATX MOTHERBOARD SOCKET AM2+ 2000 MT/S FSB 4GB (MAX) DDR2 SDRAM SUPPORT (513426-001). NEW BULK. IN STOCK. SHIP SAME DAY. 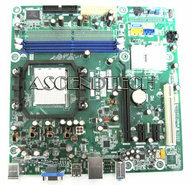 Dell - DRS780M02 Dell Inspiron 546 546S Series AMD Socket AM2 Desktop Motherboard F896N 0F896N CN-0F896N. 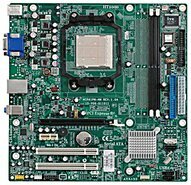 Hewlett Packard - Pavilion P6000 Series HP Pavilion P6000 Series AMD Socket AM2+ DDR2 Micro-ATX Desktop Motherboard 504879-001 Rev. A01.